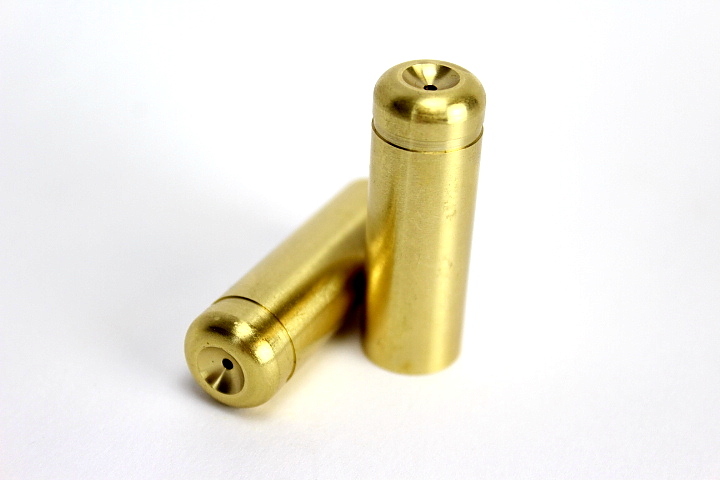 Brass cartridge cases for the original and Erma Gallagher carbines. These cases are CNC machined to original specifications and will fit both repro and original .50 caliber Gallaghers. Made from solid turned brass with thick walls, these cases will stand up to a long life of reloading.